The field of physical therapy has become an increasingly important part of America’s health care sector, resulting in a number of growing and robust job opportunities. In fact, the modern field of physical therapy is showing dynamic expansion into a variety of new areas that present exciting opportunities for new and currently employed physical therapists and physical therapist assistants (PTAs) alike. Some of the newest opportunities in this field include working in private offices, providing in home care services, sports medicine and as part of an eldercare team. Currently, both physical therapists and PTAs are enjoying excellent job opportunities. The Bureau of Labor Statistics (BLS) has determined that nearly 70,000 PTAs and over 204,000 physical therapists were employed in the United States as of 2012. Both professions are expected to see far higher than average growth between 2012 and 2022. For this reason, new physical therapists and PTAs will enjoy excellent employment options regardless of their location in the United States. The field of physical therapy has become an increasingly professional field over the last several years. Currently, all states mandate that both physical therapists and PTAs must be licensed before they can legally practice. In addition, a wide range of national, state and local professional organizations help represent the interests of physical therapy professionals in order to ensure that any laws regarding the practice of physical therapy are beneficial to the profession and its patients alike. Currently, two of the most promising employment trends in physical therapy are the rise of individual practices incorporating physical therapy providers and home health care careers. Both of these fields are showing dramatic and sustained growth and make up a majority of the total job growth predicted for the field of physical therapy. In fact, the job growth for office physical therapy providers is expected to be at least 56 percent through 2018. Home health care services are expected to expand by at least 47 percent over a similar period. Office-based physical therapy practitioners usually provide outpatient services to individuals who travel to the office for treatment. The practitioner may provide general physical therapy services or specialize in a certain specialty such as sports medicine or age related degenerative conditions. In most cases, a physical therapist will direct the work of one or more PTAs in order to provide the best possible care for the office’s patients. Home health care services involve providing physical therapy at the patient’s home. This is becoming an increasingly popular choice for individuals with mobility problems or who are located inconveniently far from a clinic or hospital. In addition, it reduces the overall cost of treatment by allowing the patient to remain in the comfort of his or her home. This can be especially beneficial when treating elderly patients who have cognitive disorders that may result in them becoming frightened or disoriented when away from their home. Both of these fields are excellent choices for physical therapists and PTAs who desire long-term and professionally rewarding careers. In addition to excellent working conditions, both fields are unlikely to involve much in the way of unscheduled overtime. For this reason, they are an ideal choice for health care professionals who are currently raising a family and who must be able to depend on a regular job schedule. In addition, both of these fields involve the development of a close personal and professional relationship with the healthcare professional’s patients and coworkers alike. In most cases, the physical therapist or PTA will be working with a small number of fellow healthcare providers, which will encourage the type of close-knit team that often produces high levels of job satisfaction. When working as a home health care provider a physical therapy caregiver will be working directly with the patient and his or her family in a residential setting. This type of professional setting helps build a rewarding personal and professional relationship between the physical therapist and his or her patient. Physical therapy was originally focused on providing aid to those individuals who had suffered traumatic injuries or illnesses. However, today’s physical therapy providers can choose from a wide range of specialties. The aging of the American population has resulted in a growing demand for physical therapists and PTAs who can provide high quality services to elderly individuals. Not only does this help maintain the individual’s physical capabilities, but also a growing amount of evidence demonstrates that physical exercise and therapy may also help maintain the patient’s mental and emotional health. This can be especially important for those individuals who are suffering from senile dementia or related conditions. Physical therapy professionals who work in this field should understand that they will often be working with individuals who may suffer from emotional and mental disorders. For this reason, this particular specialty requires excellent interpersonal skills and a great deal of patience. Another field that is enjoying rapid growth is the field of sports medicine. America’s growing emphasis on physical fitness continues to result in sports related injuries that demand effective medical care. In addition, many physical therapists and PTAs can assist their patients in developing exercise programs that are suited to their specific needs. In most cases, sports medicine is handled on an outpatient basis and is unlikely to demand much in the way of overtime. 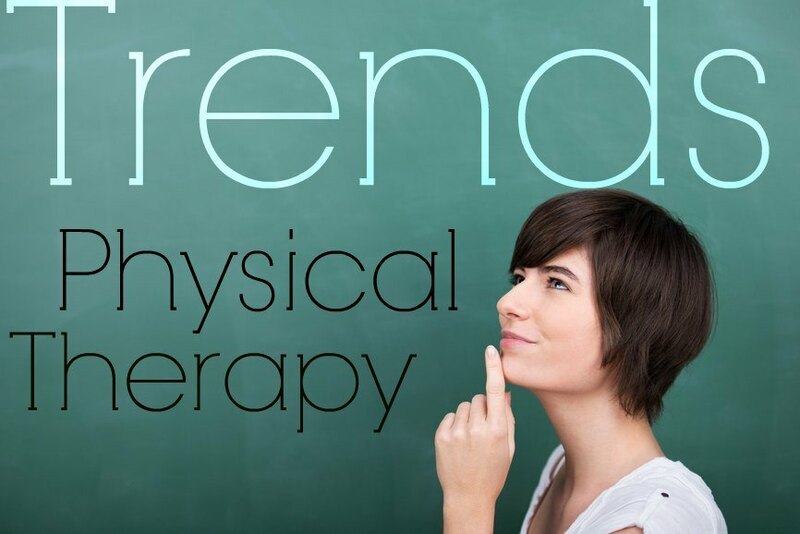 Ultimately, the field of physical therapy will continue to grow, presenting ever more attractive opportunities to those individuals who are interested in becoming physical therapists or PTAs. Whether it is as part of small private practice or a major medical establishment, physical therapy professionals are an integral part of America’s modern healthcare sector. Physical therapists and PTAs also enjoy a great deal of professional and personal respect from their superiors, coworkers and the patients they help treat. In fact, this field is an excellent choice for those individuals who desire the feelings of satisfaction that arise from playing a vital role in America’s healthcare sector.